Because of your investment in the Rock Springs Chamber of Commerce, we wanted to make sure you know about our strategy to market our community to a national audience for talent attraction and business investment. 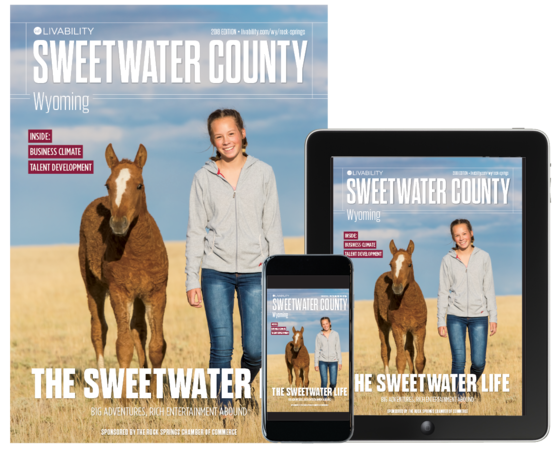 In a continuous expansion of our digital marketing efforts, we work with Livability Media to promote Sweetwater County online, in print and via social media. Our Livability Media representative, Deshaun Goodrich will contact you soon to discuss how your business can participate in this program and gain year-round exposure to a vital target audience. Contact Deshaun directly by email, at dgoodrich@livmedia.com or phone 865-385-3830.